New open box. This has been sitting a closet for about 15 years. Was intended for a TV in guest room. It never got there. See photo of back of unit for inputs and outputs of the receiver. Does not include universal remote. Only One Left. See photo of back of unit for inputs and outputs of the receiver. Does not include universal remote. You can buy them both or just one. They are identical. This is in excellent condition, very clean, with the exception of a few, small, minor scuffs on the case. These were for my personal use while I had a dish with Direct TV. Functions exactly like it should. Includes everything and only what is shown in photos. 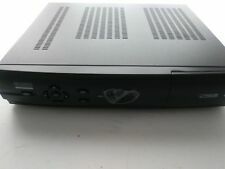 Used Hughes Network Systems Directv Plus Receiver Silver Edition - HIRD E1. Receiver will work with the generic white DirecTv remote. Model #HIRD-E1. HughesNet feedhorn. Condition is New. Rear cover has some scuff marks see photos. Shipped with USPS First Class Package. 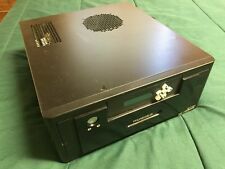 RCA INPUTS FOR AUDIO LEFT AND RIGHT,VIDEO.HAS S-VIDEO CONNECTION ALSO.HAS TV ANTENNA IN AND OUT CONNECTIONS.CAN BE USED WITH PROGRAMMABLE CARD OR DIRECT TV CARD. Lower 48 States USA only. DIRECWAY MODEMS. This includes the stand to hold them, the power adapter cable, and the connecting cable between the two. READY TO GO FOR YOU! 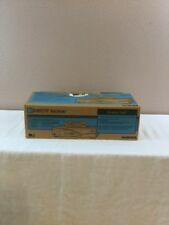 Part Number: 1029075-0001 REV D.
Hughes DIRECTV Satellite Receiver Executive Director Pack. Model GCEBO. This is a Hughes DIRECTV Satellite Receiver Executive Director Pack Edition. It was used for about 6 months. Works perfectly, and is in Great condition! Model GAEBOA Hughes Direct TV Satellite Receiver w/Remote & ALL Wiring! 99%! THIS WAS ONLY USED BRIEFLY & THEN IT WENT IN THE BOX OF THE LOCAL COMPETITION FOR STORAGE. Power Cord (Attached to back of receiver) Condition. Power Cord, attached to back. USED: Excellent Condition - Normal wear as seen in pictures. Unit Powers up. Powers Up, Searches for Signal (Did not try to connect). HughesNet Feedhorn for .74m Ku Band Systems HNS. Condition is open box with scuff marks. Shipped with USPS First Class Package. In regardsto colors, it will be variations depending on the type of screen device. Colorwill also have variations depending on the lighting. DirecTV Para Todos. Hughes Network Systems. Make Hughes. 120V 1A MAX. Order Processing. We will respond as soon as possible. This item(s) appears to be in clean good-fair condition and untested. Hughes DIRECTV BUNDLE of 3 Receivers and 3 matching Remotes: 2 of GC-EBO [executive] a HIRD-D2 with Remotes. Receivers are Working when carefully taken out of service by me. Original and only place these units were used. 2 RF remote antennas included, some manuals. The black remote is missing back battery cover. All remotes were stored with no batteries; no leakage damage, clean. DirecTV card is in each unit. Subscription is expired. Condition is Used. Shipped with USPS Priority Mail. From Smoke Free, Pet Free household. No returns, No refunds, No cancellation of bids. Thank you for bidding. 2 Hughes DirecTV satellite receivers (model GAEB0 Director Pack) w/ manual, remotes, and access cards. I tested both receivers and they are in working order. One of the remotes was a little harder to get to respond after being in storage for several years, but I got it to work after after pressing on the buttons a few times. You get two Directv satellite receiver boxes with power cables and two access cards. This sale is for both boxes packet deal. Used Hughes Satellite Receiver including remote control device. It has been in garage for few years and it may not work. Used Direct TV Hughes GAEB0A Receiver with Remote. See pictures for actual physical condition. 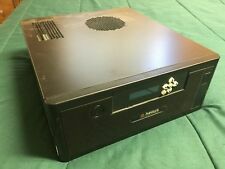 Used Direct TV Receiver with Remote. HughesNet Feedhorn for .74m Ku Band Systems HNS. Condition is New. Shipped with USPS First Class Package.